ATTENTION! OUT OF TOWN March 25th-29th, 2019! Orders placed now will be processed on/after Monday, April 1st 2019. 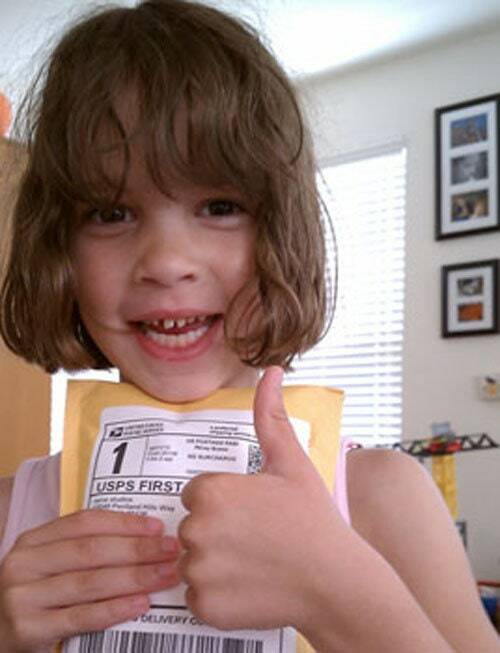 Due to the backlog, it may take a few extra days to get all orders shipped out! Please allow 5 business days for your order to ship after 5/1/2019! As a "THANK YOU" for your patience, use coupon code 2DOLLARSOFF for $2 off any order over $20. Thank you! Please do not purchase unless you know this listing is for you. A 7.75 inch 2 in 2 sterling silver bracelet, made with a heavy sterling silver spring clasp. 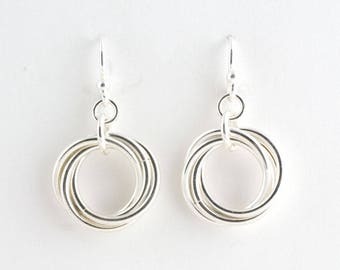 This lovely bracelet is made from my own sterling silver jump rings, woven one ring at a time. All jewelry arrives beautifully packaged and ready to give. 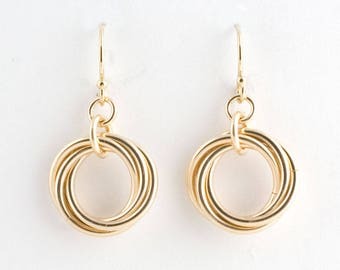 Byzantine Earrings. 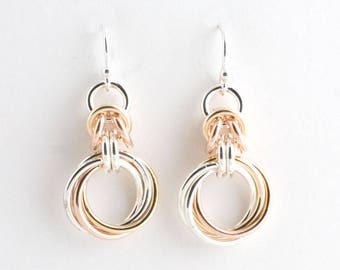 Sterling silver chainmaille earrings. Yin - Yang Byzantine. 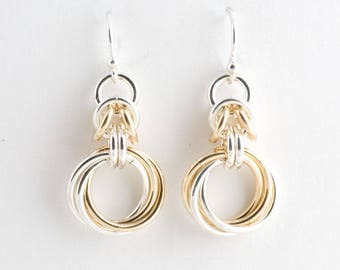 Sterling silver chainmaille earrings. 3 in 3 Copper Handmade hainmaille bracelet. 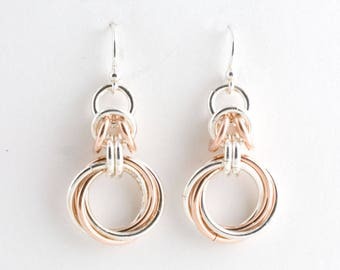 Shenandoah Earrings. 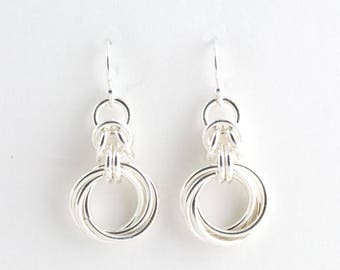 Sterling silver chainmaille earrings.